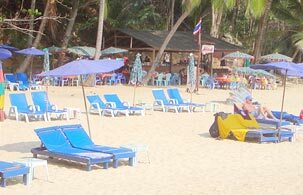 Ownership in Phuket the Phuket Vacation Club Starts from as little as 17,500 USD and entitles you and your family to 30 years of fabulous vacations in our beautiful and luxurious resorts here in Phuket and around the world. As well as your home resort at beautiful Layan Gardens ( www.LayanGardens.com ) which even comes complete with your own car you can also use any of our 3,850 affiliated resorts around the world. With superb private roof garden featuring Hot Tub, Bar, Sala, BBQ and Bathroom. 3 pool's inc. 45 metre 'lap' pool, kids pool, pool bar, chipping area, bunkers and putting green, BBQ sala's exercise area and floodlit tennis court.